Starting from version 14.1 you can report the changes between revisions of your project via Doc. Composer. In this article we will demonstrate how to output the changes of your project between the specified revisions in tabular form. <!-- different layout in "Diagram" scope & "Project or Model/Package" scope. Prepare a project in VPository or Teamwork Server with couple of revisions. Open the team collaboration project. Open Doc. Composer by selecting Tools > Composer form the application toolbar. 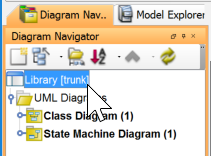 Select the project root in Diagram Navigator. 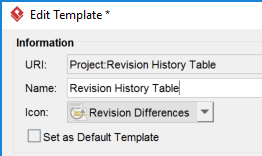 In the Edit Template window, enter Revision History Table as the name of template. 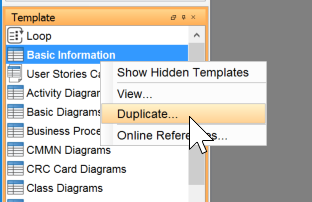 Select Revision Differences as the icon of the template. 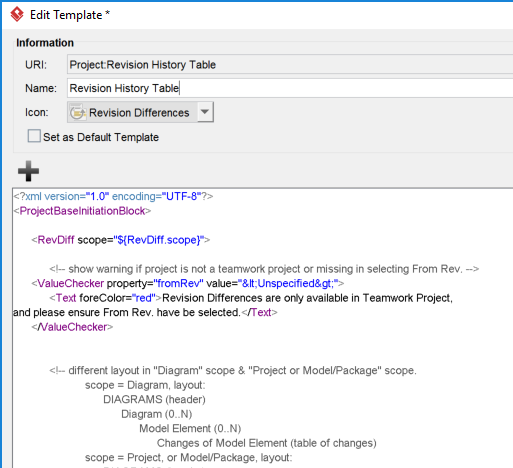 Now select the project root in Diagram Navigator, and then drag the template Revision History Table from the Template pane onto the document. 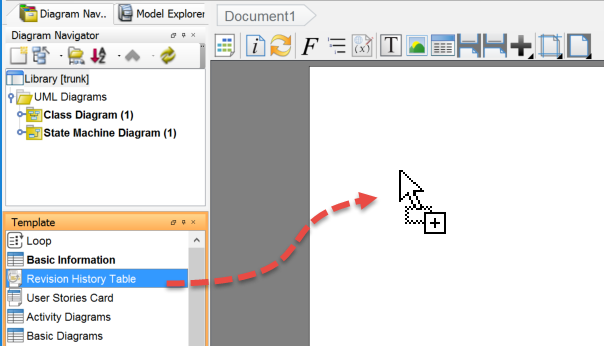 Select the starting revision as well as the scope in the Select Revision Difference Scope dialog, Press OK.
Now the changes from your specified scope is output into document. The template for output project change history can divided into three parts. The first part is to retrieve the scope of changes we would like to retrieve from Select Revision Difference Scope dialog. The second part is to output the change history for user selecting diagram scope. We loop through the diagrams covered the in scope to output its name, then retrieve the modified model elements under that diagram to print out their change details in a table. We make use of the status property to determine the element is newly created, modified or deleted within the change scope. And for modified elements we use the oldValue and newValue to output their original value and latest value. The third part is to output the change history for user selecting project/model container scope (scope != diagram). 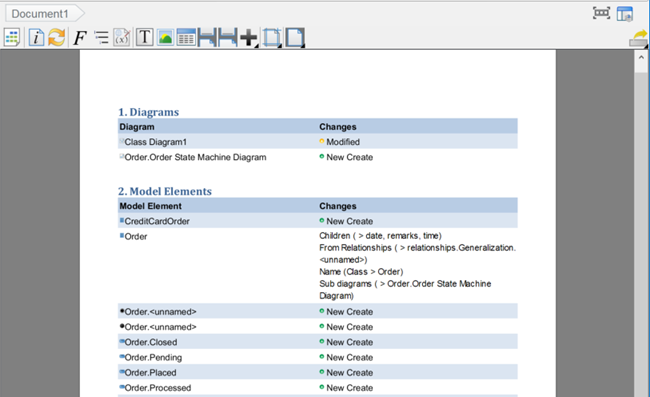 We loop through the model container and printout the changed diagram in tabular form. Similar to above we use the status, oldValue and newValue properties to determine the type of change as well as the changed values. After that we loop through the model container and printout the changed model element in tabular form.